NewsGreater Than AIDS at #2018USCA! 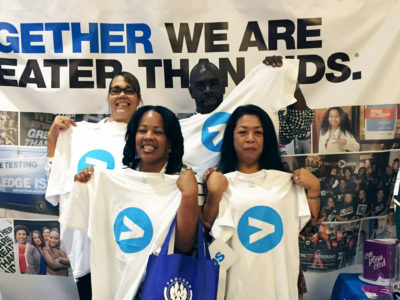 This September 6-8th, Greater Than AIDS will be in Orlando, Florida at the 2018 United States Conference on AIDS (USCA) – the nation’s largest gathering of organizations working in HIV/AIDS. This year’s conference will celebrate the resiliency and diversity of the movement that has brought us closer than ever to ending the epidemic. 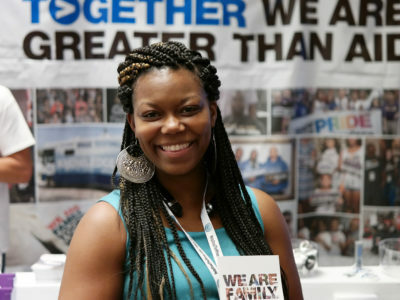 Stop by the Greater Than AIDS booth in the main exhibit hall to find out more about the campaign and latest offerings. While there, snap, post and tag a selfie to show that you are #GreaterThanAIDS and get some fun swag! Not attending USCA? You can still take part in the action! Each day at 5:30pm ET, join Greater Than AIDS for Facebook Live Events from USCA! Each event will feature different experts, leaders and Ambassadors talking about the latest in HIV prevention, testing and treatment. Tune in to the Greater Than AIDS Facebook page to submit your questions in real-time and watch the conversations! A full schedule of the Facebook Live events is below. Greater Than AIDS at USCA 2017! 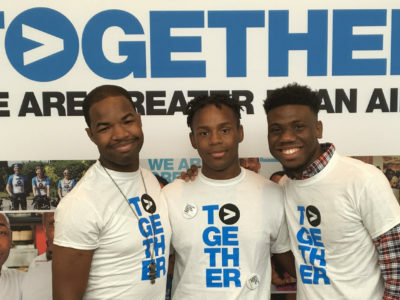 Greater Than AIDS at USCA 2015!